My son has been staying up late since the beginning of summer holiday and of course waking up anytime. Now that School resumes next week, it must be back to our routine. Ideally, it is best to get back to school routine at least a week before resumption. 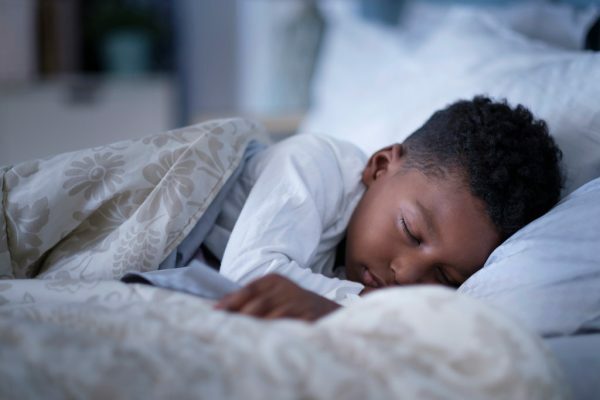 Research shows that letting kids keep late nights and forcing them to rise earlier causes sleep deprivation that can have harmful effects on their performance in school. Not getting enough sleep can also contribute to obesity. But even more troubling, studies show that children who don’t get enough sleep can end up with behavioural and learning problems that persist for years and affect a child’s life forever. Even just 25 minutes of less sleep per night as little as it seems can lead to concentration problems, behavioural issues and lower grades. Don’t fret if you haven’t started yet. Here are a few tips to help ensure your children get the required amount of sleep and still make it to school early. Children between the ages of 5-12 are expected to have 9-12 hours of sleep daily. Start from when your child needs to get up in the morning, and then count back the number of hours your child needs to sleep. Have a specific time for bedtime, non-negotiable and enforce it. If you need to set an alarm to make this happen, do it. It is also advisable to stick to a consistent bedtime even on weekends, as this helps to regulate the circadian rhythms (the body’s internal clock). Cut Down on Activities if Required. Keep your child’s schedule balanced. Is your child involved in too many activities and extra curriculum during the day? Overloaded schedules can sometimes make it more difficult for children to wind down at night. Doing sports late into the evening increases heart rate, adrenalin and stimulates the mind which can make falling asleep harder. Have a bedtime routine for your children. If bedtime is 8:30 pm, start the winding down process at least 30mins before bedtime so that they are fall asleep at the designated time. I suggest some calming activities like reading a book/bedtime stories or taking a bath to help him/her wind down for bedtime. Repeating same process every night makes the brain and body get used to it and signal a cue that it’s time to sleep. Trust me, with an iPad or any tech device at hand or within reach, you are most likely going to have a problem making your kids sleep early. Put off the TV as well as all other electronics at least 30mins before bed. Keep all tech out of bedroom- TVs, tablets, phones, video games, etc. Studies show that the light of screens (cell phones, tablets, laptops) can confuse our bodies into thinking it’s still light outside, making it harder to fall asleep. Asides from this, gadgets lead to poor sleep especially the sounds of text messages interrupt peaceful sleep. Therefore, make a rule that all devices need to be turned off before bedtime. Teach them that the bed is for sleep so limit the use of phones or laptops in beds. When the bed is associated with sleep only, it’s much easier to relax and fall asleep in bed at night. Darkness tells your body to produce more melatonin, a hormone that makes you sleepy. So, turn off lights or use dim lights when it is bedtime. Lastly avoid foods and drinks that contain sugar and caffeine before bedtime as it gives an adrenalin rush making it harder to fall asleep.